After completing jury service, Samantha decided it was time for a career change to forensic science. 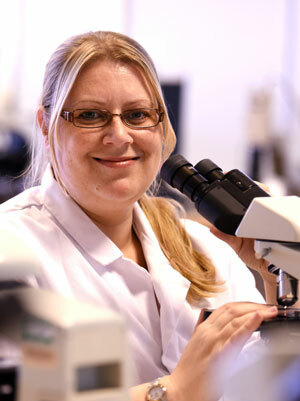 I came to Teesside University with an undergraduate degree in biology with chemistry and 20 years’ experience as a quality manager in the food and drinks manufacturing industry. After completing jury service I decided it was time to change my career to forensic science whilst still having a focus on quality. 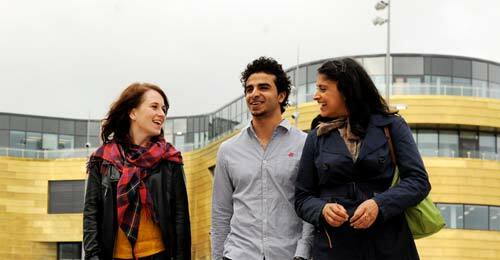 I received a bursary from Teesside University which covered 90% of my fees, but it was not a deciding factor for me. I chose Teesside University as the teaching staff have practical, real life experience of working in forensic environments. The course was accredited by The Chartered Society of Forensic Science and this was also a significant attraction for me. I found my course varied and interesting. I learnt practical forensic chemistry techniques such as how to identify drugs through gas chromatography and accelerant residue detection using high performance liquid chromatography. This is great experience for those wishing to pursue a career in a forensic laboratory. My course also covered crime scene techniques such as footwear and blood spatter analysis which gave me an understanding of the skills required to be a crime scene examiner. In addition to the practical elements of my course I particularly enjoyed the modules which focused on forensic strategies and legal issues in the world of forensic science. My course encouraged me to take an interest in current and recent developments within the field and this gave a dynamic feel to the course. I was frequently encouraged to debate how recent developments in forensic science had assisted in solving cold cases. As I was a mature student I didn’t feel the need to use facilities such as the careers service but I appreciate that it was very useful to some of my classmates who required assistance with job searching and CV writing. I am just about to start my new role as quality manager of the Scientific Support Unit with Cleveland Police which is my dream job. My main responsibilities include overseeing accreditation to ISO 17020 and 17025 quality standards for procedures including detection and enhancement of fingerprint and DNA, digital forensics, ballistics and crime scene examiners. It is a very challenging new role which I hope will be very rewarding. Although I already have a background in quality management, without achieving my masters in forensic science I wouldn’t have had the necessary skills and abilities to meet the requirements of my new role. I would recommend both Teesside University and MSc Forensic Science as the staff are so enthusiastic about their subject and are always willing to help if you have any questions.